Even the inexperienced skiier notices when he is skiing with a top ski (all-rounder). It is simply the better sports equipment and brings more fun on the slopes. What is "carving"? A carve turn is a skiing term, used to refer to a turning technique in which the ski shifts to one side or the other on its edges. When edged, the sidecut geometry causes the ski to bend into an arc, and the ski naturally follows this arc shape to produce a turning motion. Modern carving skis make this new driving technology possible due to their more pronounced curves, adapted parameters for building the ski, and an adapted overall geometry. If you wish, you may register now with your address and your personal data and take advantage of a quick turnaround at our location. This is done without obligation. 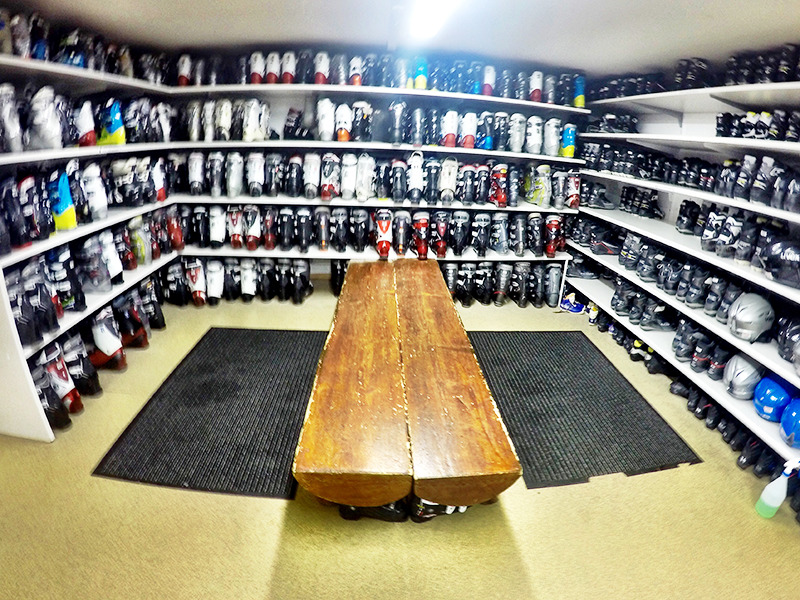 Payment will be made only when collecting the rental equipment in our rental shop. During the rental process, the setting adjustment of the bindings will be quite fast. Your setting values are determined by computer with a scanner and can be quickly transferred to the binding. Even with tight deadlines and demand pressures, the employees are fast while effectively and correctly able to determine your right setting, therefore decreasing the risk of a defective or incorrectly set binding. Our rental process is completed per the required DIN standard. This means each binding is checked on a calibrated setting device and documented with a print-out, in order to ensure that the binding of your rental Ski functions properly. This is done with great effort before each ski season. on.